Many who travel to Ecuador want to see more of what South America has to offer. So an Ecuador border crossing often is planned as part of the trip. Whether going into Peru for some ancient Inca ruins or heading up to the beaches of Colombia make sure to plan ahead for crossing the border. From the time you enter Ecuador make sure your paperwork is in order. You must have an entry stamp in your passport and a T-3 embarkation card. Without these documents you face a fine and possibly being sent back to Quito to sort these issue out. The most popular border crossing is into Peru. With all of the amazing wonders to be seen in Peru it just seems like a natural progression. 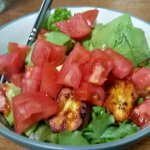 An Ecuador lover is bound to love Peru! You can cross the Ecuador border into Peru at three different overland points, each with different advantages. None of the border towns are that exciting to make you want to stay for a while. But they serve their purpose of getting you from one country to the next. This is the most popular border town. From Machala you can get on an international bus line that will take you directly into Peru; to either Lima (24 hours) or Tumbes (eight hours). This can be very convenient since border formalities are taken care of right from the bus and on you go. Or you can take the national buses. Just make sure you get off at the Ecuadorian immigration office (2.5 mi/4 km from the border) to get your departure stamp. If your bus will not wait for you just save your ticket and catch the next bus coming through to Huaquillas or take a taxi to the border. From the border you can catch a taxi to the Peruvian immigration office (1.25 mi/2 km from the border) for your entry stamp. Then catch a taxi into Tumbes. Growing in popularity due to the relaxed atmosphere is the border town of Macará. Direct buses from Loja to Piura, Peru (nine hours) run through the little town. Buses will stop and wait while you get your paperwork in order before continuing on. The least traveled of the border crossing cities may be the choice for you if your last point of call in Ecuador is Vilcabamba. 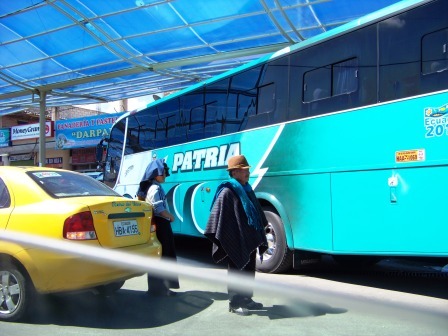 Buses to Zumba leave for Loja two times daily. From Zumba make your way to La Balsa where you will get your exit stamp. After crossing into Peru you will have to make your way through several small towns (San Ignacio, Jaén, and Bagua Grande) before getting to the larger town of Chachapoyas. You can also cross into Peru on the Napo River starting at Nuevo Rocafuerte. This options can be time consuming and rustic, so it may not be a good choice for most travelers. Crossing into Peru is usually very safe, although recently their have been reports of thieves using taxis to hold up border crossers. Many recommend the international buses that omit the need to catch a taxi. It may be a good idea to get Peruvian soles in Quito or other larger cities before journeying to the border, since money changers aren't too common until you get farther into Peru. Now that you've successfully crossed the Ecuador-Peru border....Welcome to Peru! For more info on what to see and do while in Peru click here. 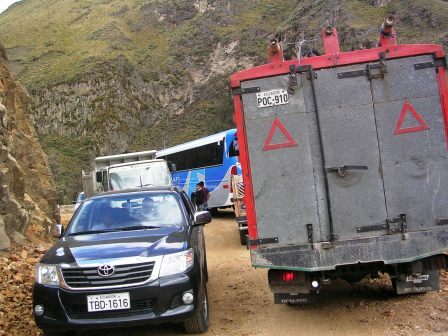 Crossing the Ecuador border into Colombia from the Oriente region (Lago Agrio to Hormiga) is not usually advised. However I have Ecuadorian friends that cross there regularly. The safer option to cross is at Tulcán. From Tucán you go to Rumichaca where you can get an exit stamp between 6 am and 10 pm daily. From there you can catch a taxi or minibus to the border. Once in Colombia you can catch a taxi into Ipiales. Many living in Ecuador go to Colombia for deals on appliances, electronics and clothing. However, the Ecuadorian government does charge an import tax on many items bought in Colombia. Most cars are searched before re-entering Ecuador.